Gov. 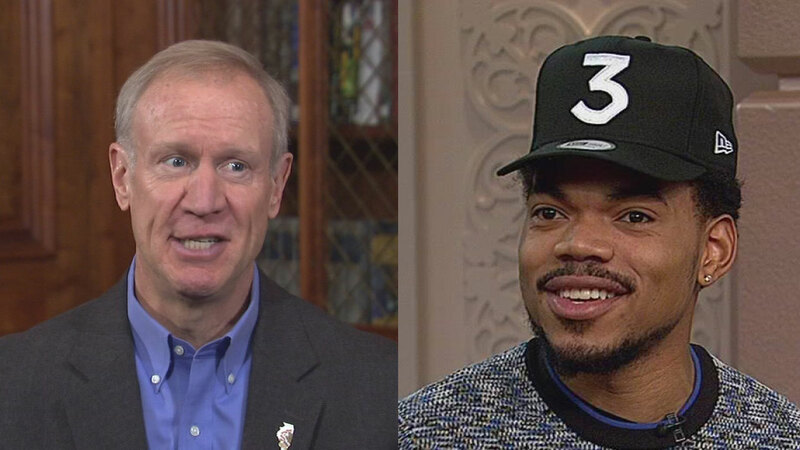 Bruce Rauner and Chance the Rapper are scheduled to meet on Wednesday. Chance the Rapper is set to meet with Illinois Gov. Bruce Rauner on Wednesday in Chicago, where the pair will discuss local education issues. "I'm meeting privately with the governor Wednesday," the Windy City native and musician tweeted Monday. "The two of us will address funding education in Chicago. I'm eager to hear his ideas." I'm meeting privately with the governor Wednesday. The two of us will address funding education in Chicago. I'm eager to hear his ideas. "Looking forward to hearing your ideas, too," the Republican governor responded Monday afternoon. "Congrats to @Chancetherapper for making history as an independent artist and taking home 3 Grammys. IL is proud that you're one of our own," Rauner tweeted on February 13. "Thank you Governor, I would love to have meeting with you this week if possible," he tweeted. Rauner responded a couple of hours later, tweeting, "Let's set up a meeting soon. Looking forward to our conversation @chancetherapper."